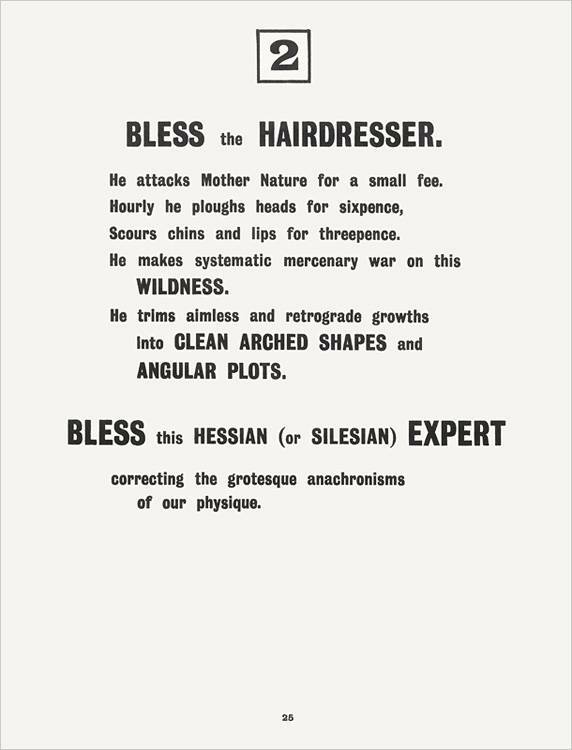 In December 1913, Ezra Pound wrote to William Carlos Williams calling the London art/literary scene “The Vortex.” Wyndham Lewis in turn appropriated the term to christen his budding movement in the arts, “Vorticism.” Vorticism was baptized on June 20, 1914 in the first issue of BLAST, A Review of the Great English Vortex — Lewis’s revolutionary magazine. 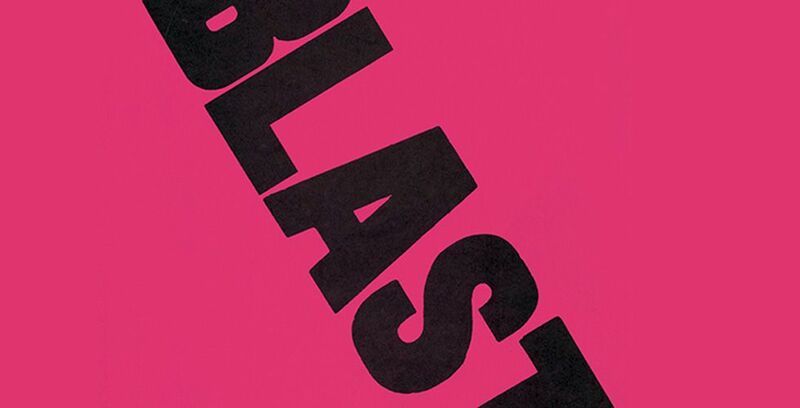 BLAST is now considered one of this century’s examples of modernist expression and typography, both historically indispensable and a milestone in modern thought. 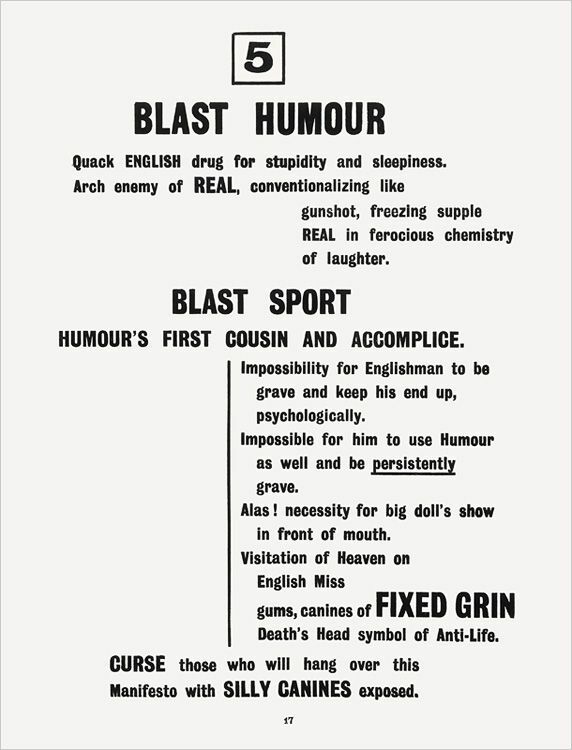 To the artistic audience of its time, the first issue of BLAST came as a brutal shock (Lewis’s plan was to create a “battering ram),” a quality that has been preserved in this first facsimile edition. 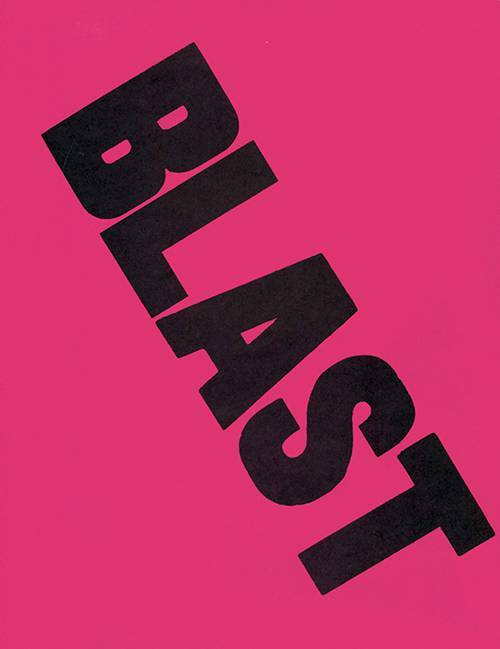 This new edition of BLAST documents in its original format the raw energy, violent humor, and graphic inventiveness.